Columbia Citizens have their own online neighborhood video library. 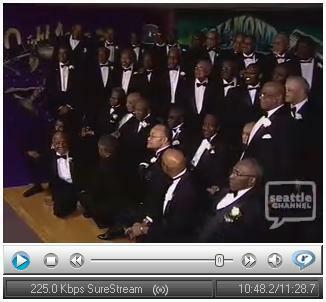 A local fixture since 1948, the Royal Esquire Club was initially founded in post-World War II Seattle as a place where African American men could gather for group events and have fun. In the nearly sixty years since, the club continues to operate out of Columbia City as a gathering place for members, but it also contributes as a community resource with its scholarship fund and charitable giving. The Royal Esquire Club's combined legacy of social activity and community outreach is what keeps it going strong after all these years.